Get your brand in your customer’s hands! Put your logo out there in your customers’ Instagram posts and tweets. We offer lower quantity minimums to maximize inventory space and to keep your back of house stocked while allowing enough extra product to sell to customers. You can change things up with seasonal designs or “limited edition logos” that will keep your customer coming back for more. Ordering custom items from Visions is super easy too! We just need your artwork, where you’d like to place it, how many colors you’d like printed, and finally your desired quantity. We’ll provide you an image proof once all the correct info is supplied and you could have your new custom items in as few as three weeks. Custom printing is available on almost all Revolution products. Please provide original artwork in .ai Adobe Illustrator vector format. Yes, we can print on the saucer and no, unfortunately we cannot print inside the cup. Repeat orders receive a $30 setup fee discount per color. Questions? Call 1-800-277-7277. Please provide Pantone color code and please send inquiries and artwork to CustomerCare@visionsespresso.com. All new artwork requires a $40 set up fee, reorders with existing artwork will not incur a set up fee. Please provide original artwork in .ai Adobe Illustrator vector format. 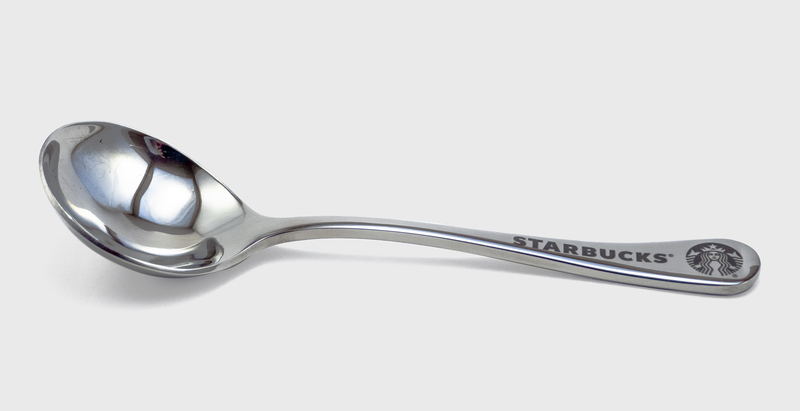 Yes, we can print in the bowl of the spoon as well the underside of the bowl and yes, we can print on the handle as well the tip of the handle. Questions? Call 1-800-277-7277. Or please send inquiries and artwork to CustomerCare@visionsespresso.com.